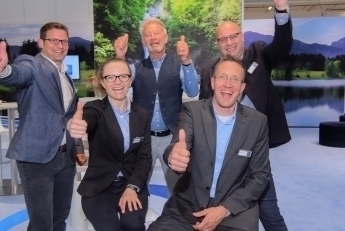 We, the EssDe GmbH team, would like to thank you for the many interesting and exciting discussions at our booth at IFAT 2018. The numerous visits from interested current and prospectus customers as well as partners do show us how important the EssDe® and S :: Select® processes are for the wastewater market. With this, we offer innovative, economical and reliable technologies. We would like you to know that we are available beyond the trade show and are looking forward to your contact and exciting discussions.